Apple cider vinegar is a common food product used in salad dressings, marinades, food preservatives, among other things, but it is also used for its health benefits and its properties to heal several ailments. The good news is you can buy it cheaply at most grocery stores. 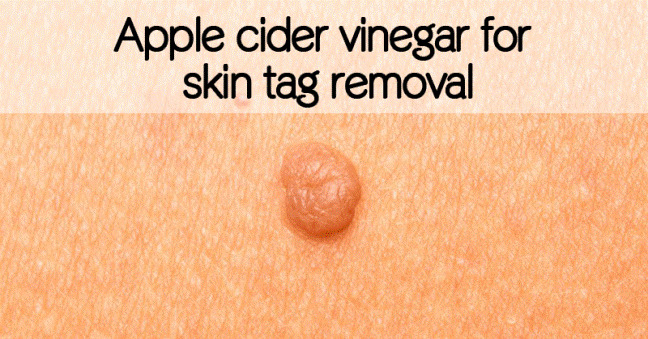 Apple cider vinegar works miracles on the unsightly skin lesions like skin tags, moles and warts. 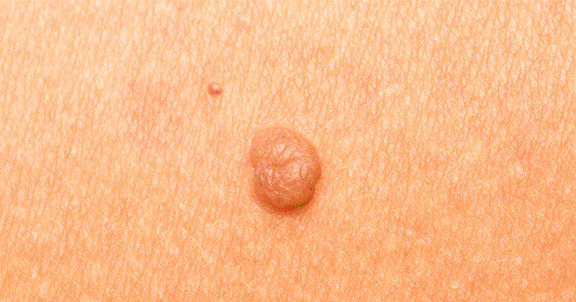 You may have a doubt about the results of using this common household product as a natural remedy to remove skin tags. The method is quite popular, because it removes moles, warts and skin tags safely and naturally, without causing any pain. The acid in the vinegar destroys the tissue that forms the blemish; however the surrounding skin is not damaged during this treatment. People who have used apple cider vinegar for skin tag removal claim that it works without leaving any scars and it also works quickly. The upside of using vinegar for tag removal is, it is less invasive. The downside is that it takes a little time and consistency for it to work.